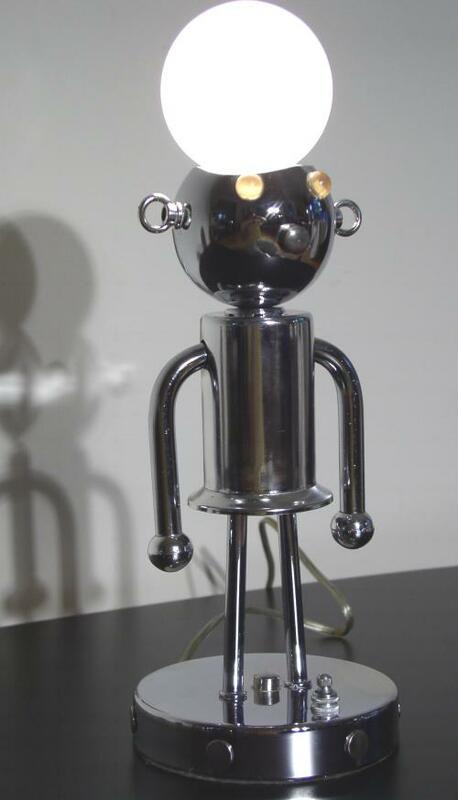 Very cool popular 1960s small Torino (Italy) chrome Robot Lamp. Single bulb in head, free swinging arms switch on base. Eyes glow when lamp is on. Condition: Super condition "Mr Minty"